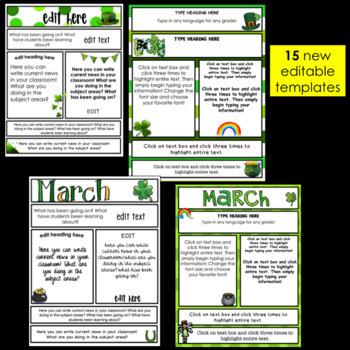 There are 21 premade Newsletter templates! All you have to do is simply type in your information and print! Every piece of text is 100% EDITABLE! 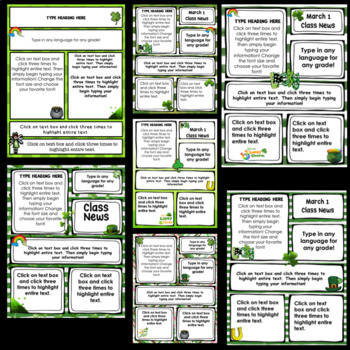 That means you can add or remove text boxes, change the wording or change the fonts to meet your specific classroom needs! 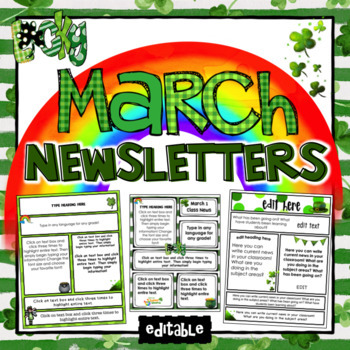 These editable newsletter templates make communicating with parents faster and easier! 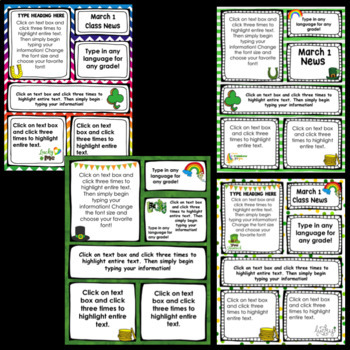 You can type out learning goals, upcoming events, ways to help at home, and more so parents stay up to date and motivated! Ready to use. Just open, choose the page you like, type, and print. All text can be customized. 21 newsletters ~ All you have to do is simply type in your information and print!